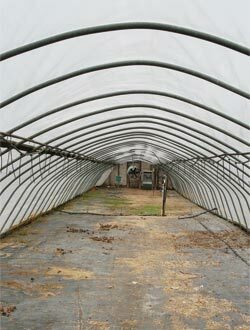 Extend your growing season with a ClearSpan High Tunnel. 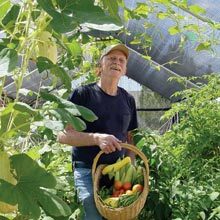 High tunnels are unheated greenhouses that help market gardeners and farmers extend their growing season and improve the profitability of their farms. 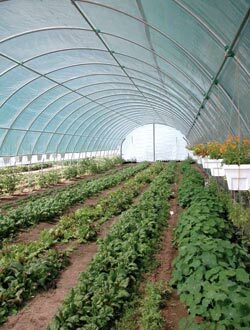 A high tunnel, or hoophouse, alters the climate to create more favorable growing conditions for plants and vegetables. 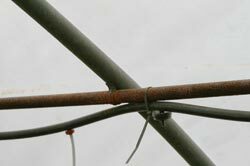 In addition to temperature control, benefits also include soil warming, rain and wind protection, and, in some instances, control of diseases, insects, and predators such as birds. High Tunnel production allows growers to offer a dependable crop because plant stress due to weather conditions is virtually eliminated. 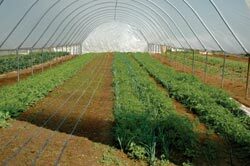 High tunnels are ideal for vegetables, small fruit, cut flowers and more. TekSupply has many styles and configurations, from hobby to field scale, which will help you enjoy gardening every month of the year. Let a ClearSpan High Tunnel increase your crop yield, quality and profitability up to 50%. 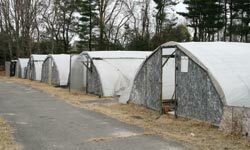 No one beats our prices on high tunnels. We also offer financing and leasing options. 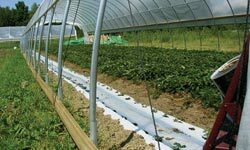 High Tunnel Advantages: Improved plant quality, size and production; extends growing season; high profile; allows management during inclement weather; frost, wind, rain and insect protection; irrigation needs are easily managed.